Where I live in upstate New York, the blueberries in the back of my yard are ready for the picking. This time of year, my family and I behave much like the bears, gorging ourselves on fistfuls of the sweet little berries. We eat all we can in those few weeks when they are in season. But I do like to capture some of this summer goodness by filling up freezer storage containers with them so that, come winter, we can make a pie or a smoothie. It’s a small gesture since we don’t only eat our backyard berries, but they are by far my favorite. I’m particularly careful about where the berries we buy in the market are from and how they are grown. It’s always best to eat berries in season from a local source you trust, so come June, I use Natural Resources Defense Council’s (NRDC’s) Eat Local search tool to find out when those in my region are coming into ripeness and where the closest farmer’s markets are. But if you are not familiar with the farmer from whom you are buying, or aren’t sure of his farm practices, a good rule of thumb when buying berries is to buy certified organic. Traces of 52 pesticides —[AP2] including known or suspected carcinogens, suspected hormone disruptors, and honeybee toxins—have been found on blueberries. 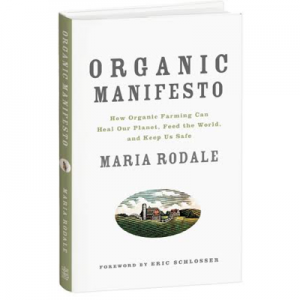 This is very worrisome, but even so, the berries of greatest concern are strawberries, considered by Environmental Working Group to be among the top 10 produce items one should always buy organic. I’m especially wary of conventionally grown California strawberries. 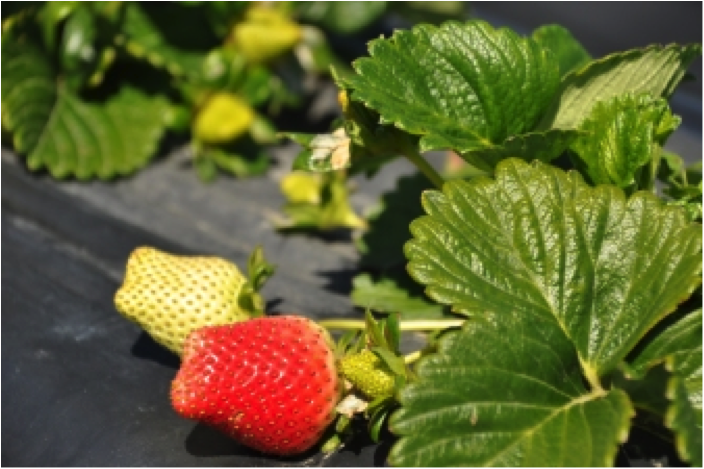 Strawberries grown using industrial production methods have an average of 54 pesticide residues. To make matters worse, both Environmental Protection Agency and the state of California approved a new dangerous pesticide, methyl iodide, to replace methyl bromide, which is known to destroy the stratospheric ozone layer. In California, methyl iodide may be injected into the soil as a gas at rates of up to 100 pounds per acre. In addition to the threat posed to farmworkers and communities living next to strawberry fields, methyl iodide may also contaminate groundwater. Suffice it to say, strawberry-farming is tough. Strawberries are prey to a wide array of pests and pathogens, require intensive upkeep, and are so delicate that one heavy rain or a strong wind may decimate a harvest. Many farmers in the business have long thought that breaking even requires heavy use of synthetic fertilizers, toxic soil fumigants, and cheap labor. Not Jim Cochran, owner of Swanton Berry Farm, a successful, profitable, certified-organic strawberry farm. What’s more, his business is fully unionized. Jim Cochran is happy to report that since he began to farm organically in 1987, his business has gone from being 100 percent of the California organic strawberry market to just about 1 percent. His pioneering organic efforts have proved to California’s farmers that organic strawberry cultivation can be profitable, and many have followed suit. Cochran’s business goes through good years and bad years, but gross profits average out to about 3 percent annually. Organic strawberry-farming is a small but growing part of the U.S. strawberry industry, in no small part thanks to innovations at Swanton, research, and available information on organic strawberry-farming techniques that have expanded greatly in recent years. My state and Washington State have declined to register methyl iodide. So while I will buy the local New York strawberries when they are in season (late June according to NRDC’s Eat Local), I choose only certified-organic strawberries otherwise. However, as most strawberries Americans eat are grown in California, and most are grown conventionally, the Pesticide Action Network of North America urges you to call Governor Jerry Brown to let him know of your concerns regarding methyl iodide and express that you would like for the state to cancel its approval now.